The 2007/2008 post-election violence in Kenya shook the country to the core. Orphaned Samuel and his three siblings felt the effects of the violence directly when they were forced out of their home. Luckily, Samuel and his siblings were able to move in with their grandmother. She is in her eighties, and does not have the strength to provide fulfill all of her young grandchildren’s needs. She sells vegetables in the local market, but her advanced age limits her from making the best out of her trade. Samuel knows how lucky he is that he is able to go to school, as his three younger siblings have to stay home for him to do so, something that weighs heavily on his conscience. Therefore, he does not take the opportunity to go to school for granted. He lives his life according to his own mantra: “education is life itself”. 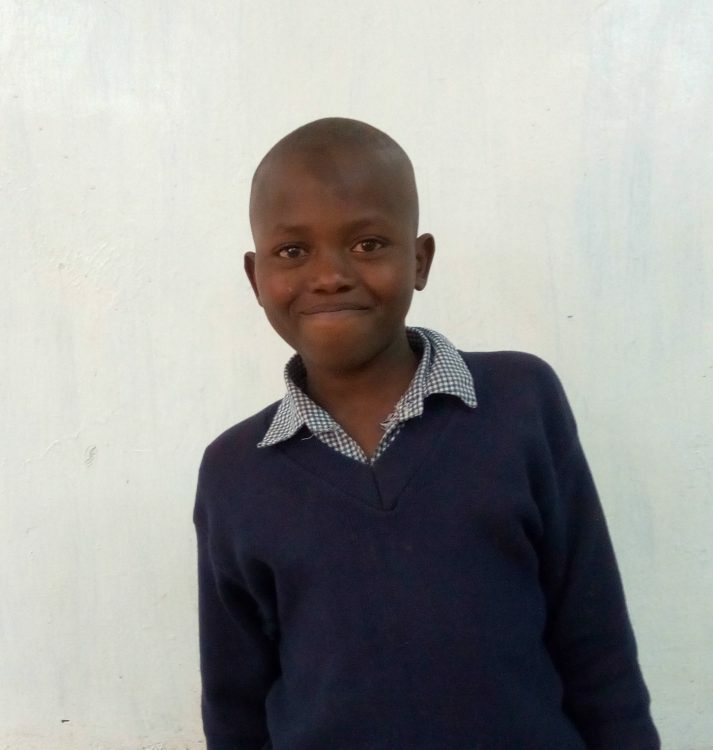 His conviction to do well in school is paying off; he scores consistently good marks in his classes, though he spends most of his time outside of class helping his grandmother in the market to provide for his siblings. He is left with little time to have fun with his friends, and constantly worries about his grandmother and siblings’ welfare. He has had to grow up very fast. Samuel would rather spend all of his time studying, so he can have a powerful impact on his family’s future. You can help Samuel and his family escape the cycle of poverty by sponsoring him. Your sponsorship will pay for Samuel’s school fees, supplies, personal effects, and everything else he needs to be successful in school. He will also know that someone on the other side of the world has heard his story and wants to help him succeed. Don’t wait – sponsor Samuel today!